Who are Alberto Mugrabi and Colby Jordan, you ask with a pronounced squint? People described Mugrabi as “an art collector” and Jordan as “a fashion blogger,” but a more telling description for both would be “richer than god.” Mugrabi is the son of an “industrialist” who owns more works by Andy Warhol than anyone in the world, and Jordan is the daughter of a billionaire. They have famous friends for reasons that elude me because I myself am not a billionaire, and it seems like all of them were in attendance. 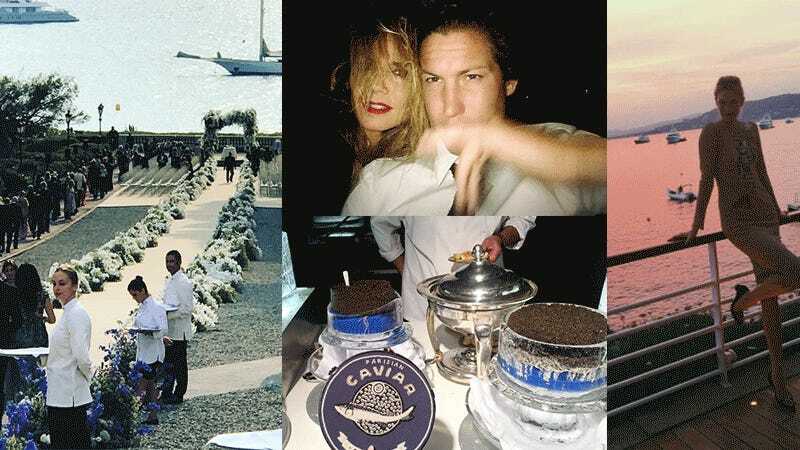 Scroll through this gold-threaded tapestry of Instagram posts and pretend you were there, pretending not to be impressed by Karlie Kloss, avoiding Derek Blasberg, drinking with Owen Wilson, watching Heidi Klum make out with Vito Schnabel, and standing silently with an Olsen twin.